He [Lincoln] wanted this message out,” Holzer explains. 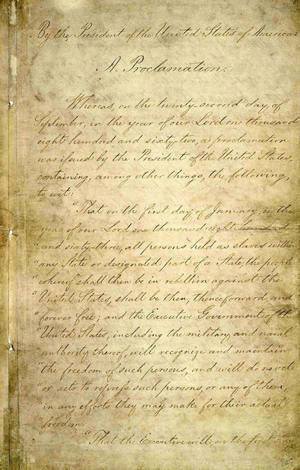 “What’s important to keep in mind is that he had written the Emancipation Proclamation. It was languishing in a drawer or burning a hole in his pocket. He knew he was going to do this, but he wanted Northern Americans who were dubious about marching toward racial equality to be assured that he was not doing this for the black race. He was doing this for the Union, to reunite the country, to defeat the rebellion, and he had no concern about blacks, their feelings, their resonance. He does have his finger in the wind.